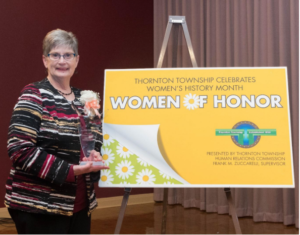 On March 3, 2018, Thornton Township celebrated the 10th annual Women of Honor Celebration at St. Archangel Michael in Lansing. Village Clerk and has been a resident of South Holland for 30 years. Appointed to South Holland Village in October 2004, elected in 2005, and re-elected in 2009, 2013, and 2017. Public Service began in 1983 starting School District 148 School Board, served 9 years as am member and president. Born and raised in Thornton, 24-year resident of Lansing. 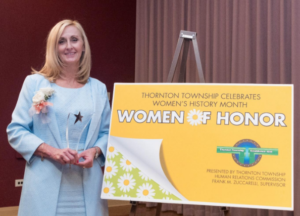 Prior to being elected Clerk, she was the Executive Assistant to Lansing Mayor Norm Abbott for 8 years and took on the roles of Deputy Clerk, Freedom of Information Officer, Traffic Compliance Administrator and Zoning Board Secretary. In 2010, Vivian initiated Lansing’s first annual Community Clean-Up Day which brings together hundreds of volunteers each spring to pick up trash throughout the Village. In 2016, in conjunction with Community Clean-Up Day, Payne organized Lansing’s first electronic recycling event for residents, where the Village collected on record 642 televisions in under 3 hours. 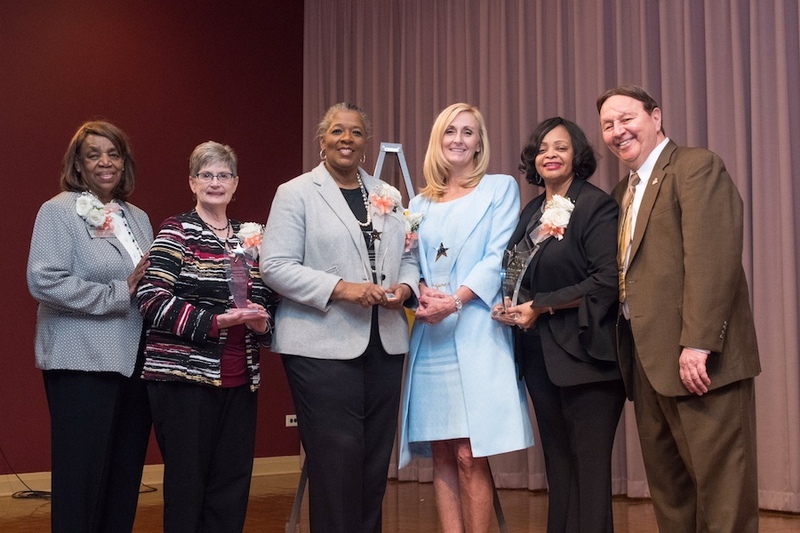 Vivian is a member of the Lansing Business Women’s Association, an organization that brings together business women. She provides them with professional development opportunities to enrich themselves and others through leadership, education and networking. Couldn’t make it due to illness and difficulty getting around, currently in rehabilitation. In 1969, she founded Rose’s House of Charm to help area youth improve their self-esteem and break into acting and modeling. 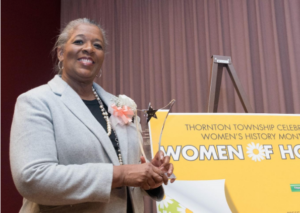 She has been instrumental in helping young people from our community featured in radio and television commercials, magazines, TV sitcoms and movies. Her students have gone on to have successful careers in fields as diverse as academia, finance, medicine, law, fashion design, and business.